Pearsall's Gossamer Fly Tying Silk, traditional old fashioned fly tying silk, Pearsall Gossamer silk is superb for tying small wets, nymphs, buzzers, and dry flies. Plus used extensively for Rod whippings. 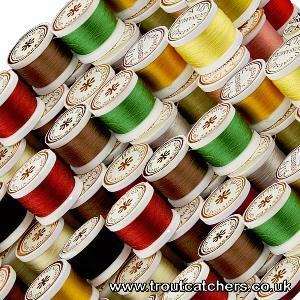 Pearsall's Gossamer silk in 45 meter spools and an orgional choice of 24 different popular silk colours. 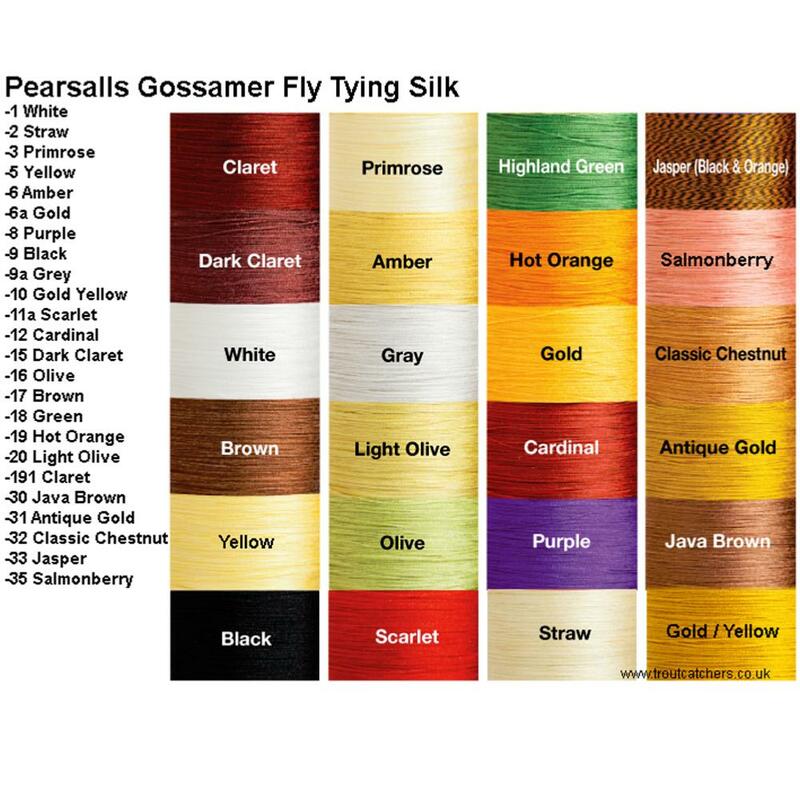 WARNING - Pearsall's Gossamer Fly Tying Silk have been available for years and featured in many Fly Tying books, unfortunately due to circumstances outside our control it is now almost extinct! 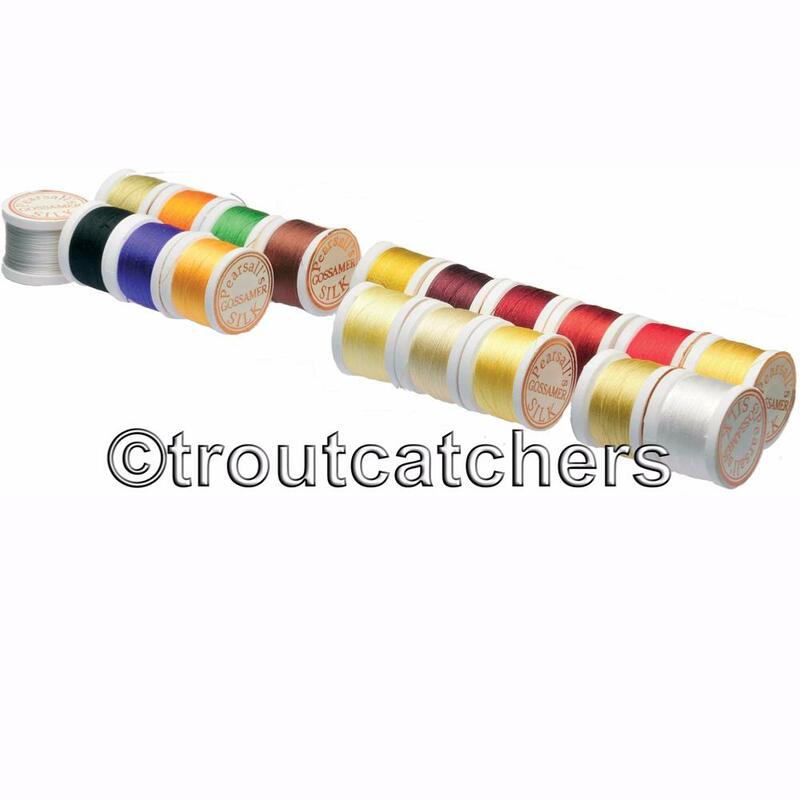 We have worked hard trying to source the last of the original spools from around the World for you (even though made in UK!! ), but it is getting increasingly obvious that it is almost finished, so please do not delay any purchase - Any colours that are showing zero stock, then unless something miraculous happens then that is it Im afraid. Since these ae no longer manufactured, they can be hard to find. Troutcatchers still has the most impt colors! Nice to get an available shade versus other companies. Cheapest i have managed to find.